Small Lake Cohen is separated from Big Lake Cohen by grasses. 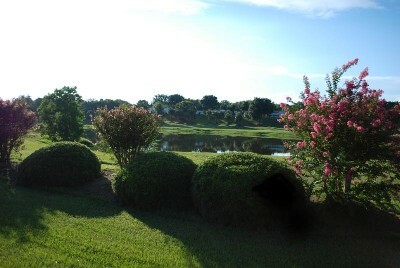 Resident's and their guests can walk to the water's edge to fish. Pictures courtesy of resident, Jim Kochanowski 7/20/09.